DULLES, Va.Nov. 12, 2017-- Orbital ATK (NYSE:OA), a global leader in aerospace and defense technologies, successfully launched its Antares rocket carrying a Cygnus spacecraft today at 7:19 a.m. EST, from NASA s Wallops Flight Facility in Wallops Island, Virginia. The launch is Orbital ATK s eighth cargo delivery mission to the International Space Station for NASA. During the mission, designated OA-8, Cygnus will deliver vital equipment, supplies and experiments to the astronauts aboard the space station, as well as conduct scientific experiments onboard Cygnus while docked with the orbiting laboratory. The Antares rocket launched the Cygnus spacecraft loaded with approximately 7,400 pounds (3,350 kilograms) of cargo to the crew of six who are aboard the space station. Following an approximate nine-minute ascent, the S.S. Gene Cernan Cygnus spacecraft, named in honor of the late astronaut and the last man to leave the moon, was successfully deployed into orbit. 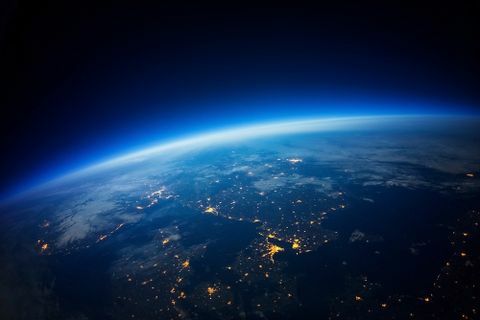 Orbital ATK s engineering team confirmed reliable communications have been established and the vehicle s solar arrays are fully deployed, providing the necessary electrical power to operate the spacecraft. While the Antares team celebrates a successful launch today, we re already well into building the vehicles for the next two missions, said Scott Lehr, President of Orbital ATK s Flight Systems Group. We will be ready to launch again whenever Cygnus needs us. Cygnus will be grappled at approximately 4:50 a.m. EST on November 14. The spacecraft will remain attached to the space station for approximately three weeks before departing with more than 4,000 pounds (approximately 2,000 kilograms) of disposable cargo. Cygnus large-volume disposal capability, a critical service to NASA, is unique among America s commercial cargo providers. 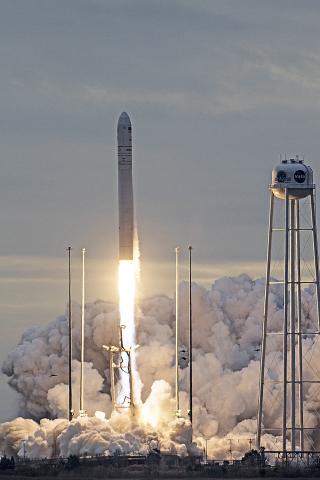 Today s successful launch of the OA-8 Cygnus on our Antares launch vehicle once again demonstrates the reliability of Orbital ATK s hardware along with our commitment to deliver critical cargo to astronauts on the International Space Station, said Frank Culbertson, President of Orbital ATK s Space Systems Group. Soon, Cygnus will rendezvous with the space station to deliver valuable scientific experiments, hardware and crew supplies to the orbiting platform. On this mission, Cygnus will again display its flexibility as an in-orbit science platform by supporting experiments to be performed inside the cargo module while attached to the space station. We are proud to dedicate this mission to Apollo astronaut Gene Cernan and his family and look forward to celebrating the OA-8 contributions to science in his name. Upon arrival at the space station, the S.S. Gene Cernan Cygnus will be unloaded and used for the first time as an extension of the orbiting laboratory for an experiment featuring a SpaceTango facility. TangoLab is a reconfigurable general research facility designed for microgravity research and development. This exercise will highlight the ability to expand the station s capabilities for hosting experiments using the Cygnus module. During the three weeks Cygnus remains docked, the astronauts on the space station will perform the transfer of the lab to Cygnus and then back to the station where it will remain. Once Cygnus is unberthed, a NanoRacks deployer will release 14 Cubesats, a record number for the spacecraft. Upon completion of its secondary missions, Cygnus will perform a safe, destructive reentry into Earth s atmosphere over the Pacific Ocean. Under the CRS-1 contract with NASA, Orbital ATK will deliver approximately 66,000 pounds (30,000 kilograms) of cargo to the space station. Beginning in 2019, the company will carry out a minimum of six cargo missions under NASA s CRS-2 contract. 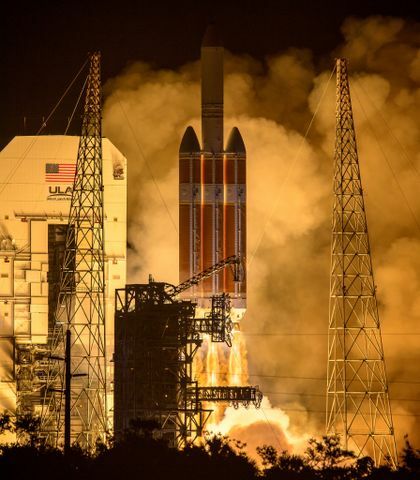 This partnership is cultivating a robust American commercial space industry, freeing NASA to focus on developing the next-generation rocket and spacecraft that will enable humans to conduct deep space exploration missions. The Antares rocket systems are manufactured and engineered by Orbital ATK s Flight Systems Group primarily in Chandler, Arizona, and Dulles, Virginia, with rocket integration taking place at NASA s Horizontal Integration Facility at Wallops Island, Virginia. 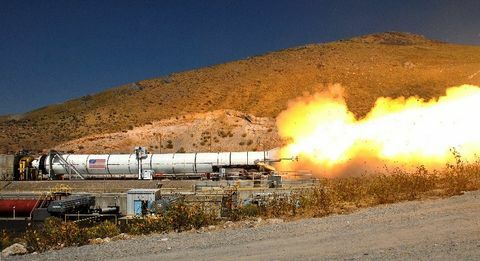 The vehicle includes two RD-181 engines from Energomash, a core from Yuzhmash and a CASTOR 30XL solid rocket motor second stage manufactured at Orbital ATK s facilities in Clearfield and Magna, Utah. The Cygnus system consists of a common service module and pressurized cargo module. The service module was built and tested at Orbital ATK s manufacturing facility in Dulles, Virginia. Orbital ATK manufactures several other Cygnus components at three of the company s facilities in California: UltraFlex solar arrays in Goleta, composite structures in San Diego and propellant tanks in Commerce.